What is Quarkchain ICO and what are they trying to do? 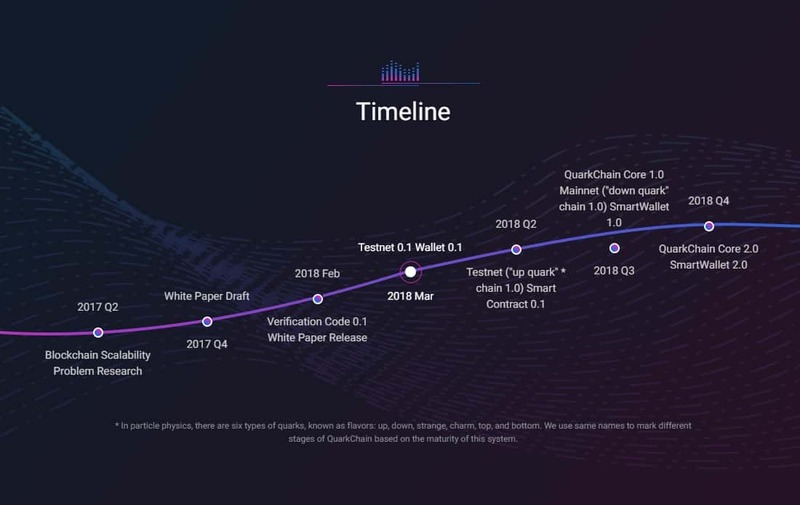 QuarkChain is a decentralized, scalable & secure permission-less blockchain that aims to deliver a million (YES 1 MILLION!!!!) on-chain Transactions Per Second (TPS) by applying sharding technology. QuarkChain has a two-layer structure encouraging weak miners to mine directly to the source without joining mining pools. It’s aim is to encourage decentralisation by allowing multiple cheap nodes to form a cluster running as a supper full node. This is good as it will help the everyday crypto enthusiast to try running a node at a low cost. All transactions on QuarkChain are protected by 50% hash power of the network, therefore things like a double spending attack will be much harder to perform due to the decentralized nature. QuarkChain supports cross-shard transactions and only one account is needed for all shards which is quite a cool feature. It’s a high capacity peer-to-peer transactional system, changing the world with this revolutionary blockchain technology. Whilst I am not 100% convinced by their 1 million TPS claim (even though theoretically possible on their system), I do believe technologically QuarkChain will be able to achieve around 50,000 TPS, and even at that rate, it blows Bitcoin & Ethereum (it’s competition) out of the water. Even looking at the graph you can see that it would definitely give Visa a run for its money too at this conservative TPS rate, which is a great marketing point to try and entice companies to adopt a decentralized component to their business. QuarkChainTwo-layered blockchains consists of two layers of blockchains. They will use elastic sharding blockchains (shards) as the first layer, and a root blockchain that confirms the blocks from the shards as the second layer. This increases its safety & security. Cross-shard Transactions — Cross-shard transactions can be issued at any time and confirmed in minutes. The throughput of cross-shard transactions increases linearly as the number of shards increases. Quarkchains Market Driven Collaborative Mining — They have designed a game-theoretic framework for incentives, where hash powers are incentivized to distribute evenly among shards. There are at least 50% of overall hash power allocated to the root chain to prevent double spending attack as mentioned above. Simple Account Management — There is only one account needed for all shards. All cryptocurrencies from different shards are stored in one smart wallet. Quarkchain ICO includes Horizontal Scalability — Because a super-full node can be extremely expensive when TPS goes high, they will allow multiple honest nodes forming a cluster running as a super-full node. Not a lot is known about the token economics as of yet, so it’s hard to say anything positive or negative. What we do know is that the hard cap is $20 million and considering QuarkChain aims to disrupt Bitcoin & Ethereum this goal is fairly reasonable. They have a live beta tes tnet where you can participate as volunteers to test it. They are looking for 100 volunteers to help test their next version of test net available in May 2018, so if you have a strong technical background and programming experience in blockchain get in touch with via their website. Once live the QKC token will act as a transaction currency (similar to Ethereum) where there will be a small fee for processing transactions. The QKC token will also act as a reward to community members who continually help to contribute to the system, this is a good incentive to be a part of their crypto family. Wangwho is one of their Software Engineers. He is an expert in large-scale distributed systems with 6 years work experience at Facebook, Instagram and Google. He also holds a Master in computer science from the University of Michigan. Again, highly experienced and a great asset to the team. The one thing i couldn’t really find was anyone highly experienced in blockchain technology on their team. I’m sure as software engineers they have touched on this, and they could well be highly skilled in blockchain but nothing on paper shows this from my investigations. Hopefully, their advisors will have experience and expertise in this area, let’s have a look. 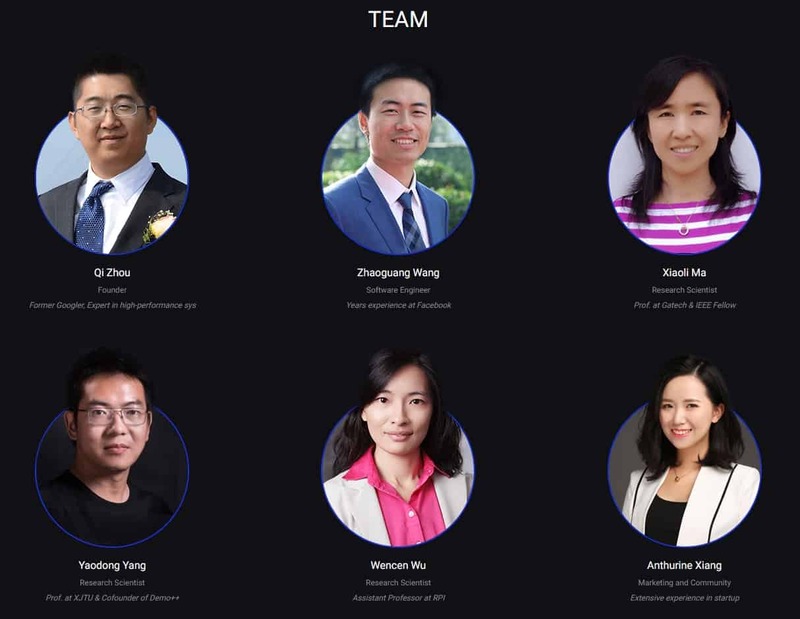 From first looks, they are highly experienced as you’d expect for a project from a project of this calibre, but it would have been nice if QuarkChain had links to their LinkedIn profiles so we can dig a little deeper. Computer Relaying for Power Systems Handbook of Electrical Engineering CalculationsPower System Relaying. Bill More is a distinguished Engineer at Sun Microsystems. He Co-led the ZFS team and served as Chief Engineer for Storage at Sun Microsystems and is President of DSSD / EMC Fellow. Leo Wang is a Crypto Fund Manager which we believe is the most relevant advisor. He’s invested in Over 50+ Project allover the world, including: Ontology, ArcBlock, SmartMesh, Elastos, Penta, MedicalChain, AppCoin to name a few. 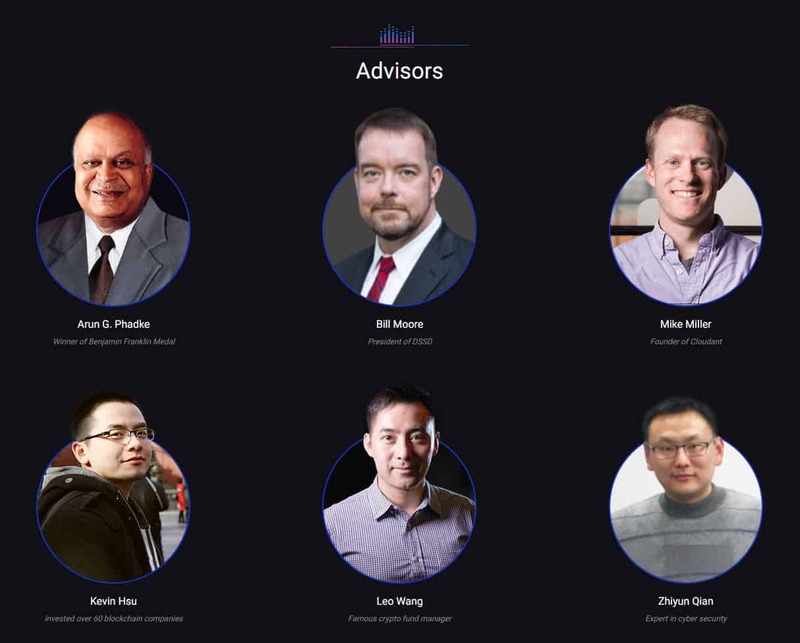 So, all in all, a very good advisory board to have for QuarkChain. As you can see they have a healthy amount of Telegram members considering it’s such a new ICO. There has been quite a lot of hype from key influencers which i’m sure has helped and I can imagine it’ll be above 10k before the end of April. It’s rated highly on ICODROPS and they are also very active on Twitter with regular updates for the community. Personally, I’m excited by the Quarkchain ICO as i can see that their technology is highly disruptive and if they can reach 1 million TPS, (or anywhere near it) it could sky rocket! It would take a huge community effort for it to achieve this with the use of trusted small nodes & weak miners, but it the long run, it could be achievable. The question is, by the time they reach 1 million TPS many years down the line, will there be another revolutionary technology to rival this one with better features? All of this is speculation of course especially without seeing their token economics. Could this be a good investment? Most likely? Will i make my money back if i invest? Quite possibly? We’ll just have to wait and see, only time can tell! QuarkChain is a highly anticipated ICO with huge potential! The TPS speed would easily rival other centralised competitors like Visa so QuarkChain have a huge potential to disrupt not only the decentralised space but the centralised one. The market is huge and with such a stellar team, they could definitely be the ones to make a big impact in the space. Definitely, an ICO to keep your eyes on, we are very excited about the Quarkchain project!